Although approximately 70% of California paralegals work in government agencies, for corporations, or under the supervision of an attorney in a law office, California allows a paralegal to offer most legal services independently of attorneys. However, if you intend to do work in California as a paralegal it’s essential that you understand the two California statutes, B&P Code Sections 6450 and 6451, that currently regulate paralegals working in the state (see more below), and the California Rules of Professional Conduct. The code details the ethical relationship that the paralegal must maintain with both the attorney and the clients. Ethical codes do vary from state to state. Another thing that paralegals who work in California must be familiar with is the correct resources that can be tapped to obtain research on California state law. A paralegal that is transferring from a different state must ensure that they meet the paralegal qualifications that California has in order to successfully work in a law firm. The opportunities that a paralegal has to work in the state of California are significantly larger than those in other states where law firms are less plentiful. For example, in Los Angeles alone there are more than 1,000 law firms, many of which need paralegals to assist with their day-to-day operations. This number doesn’t include the thousands of corporate and government entities in Los Angeles that are also willing to hire paralegals. In San Francisco there are hundreds of law firms and in San Diego there are even more firms that all need paralegals. Becoming a paralegal in California is a great option for those who want to enter a stable law career with good pay. Paralegals in California can expect to make more on average than those in many other states due to cost of living and population factors. In 2007, PayScale Inc. conducted a survey to evaluate salaries of paralegals in the Los Angeles and California areas. In California it isn’t necessary for a paralegal to have a certificate or license in order to legally practice in a law firm. However, there are dozens of great paralegal schools available in California that offer certification for local Californians who are interested in pursuing a career in the legal profession. 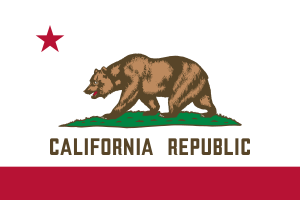 Anyone intending to work in California who is considering enrolling in paralegal courses should verify that the school is compliant with applicable California code requirements and established paralegals from other states moving to California should review the code to make sure they will be in compliance. For a list of paralegal schools in California, including ABA accredited schools and community colleges, visit this page. Professional regulation of paralegals – yesterday and today. This unregulated professional service offered by virtually anyone claiming to have paralegal skills and knowledge was viewed as a source of confusion and misleading information among consumers. About the only noteworthy legislation enacted in California regulating this practice prior to 2000 were a few requirements for paralegals offering independent legal services providing that they must call themselves Legal Documents Assistants, or LDAs, and were prohibited from calling themselves paralegals. The California paralegal profession entered a new era in 2000 as the world embarked on a new millennium. With the passage of Assembly Bill 1761, now codified as California Business and Professions Code section 6450 et seq. a longtime goal of the California Alliance of Paralegal Associations to enact a statutory definition of the term “paralegal” came to fruition. The primary purpose of this legislation codifying the definition of a paralegal was to differentiate traditional paralegals from those independently offering their services without attorney supervision. It also established tough penalties including substantial fines and possible incarceration for violators. A.B. 1761 also addressed minimum mandatory continuing education requirements for paralegals. B&P Code Section 6450 has been applied in three cases by the California courts, Sanford v. GRMI, Inc. d/b/a Red Lobster, 04-1535 (E.D. Cal. Nov. 11, 2005), White v. GMRI, Inc. d/b/a Red Lobster, 04-0620 (E.D. Cal. Jan. 19, 2006) and Martinez v. G. Maroni Co., d/b/a Church’s Chicken #948, S06-1399 (E.D. Cal. May 1, 2007). In each case, paralegal fees were denied or disallowed because the paralegals failed to meet the requirements of B&P Code Section 6450. California Code – Section 6450 defines “Paralegal”as a person who holds himself or herself out to be a paralegal, who is qualified by education, training, or work experience, who either contracts with or is employed by an attorney, law firm, corporation, governmental agency, or other entity, and who performs substantial legal work under the direction and supervision of an active member of the State Bar of California, as defined in Section 6060, or an attorney practicing law in the federal courts of this state, that has been specifically delegated by the attorney to him or her. Tasks performed by a paralegal include, but are not limited to, case planning, development, and management; legal research; interviewing clients; fact gathering and retrieving information; drafting and analyzing legal documents; collecting, compiling, and utilizing technical information to make an independent decision and recommendation to the supervising attorney; and representing clients before a state or federal administrative agency if that representation is permitted by statute, court rule, or administrative rule or regulation. In addition to defining the term paralegal the legislation established qualification criteria, prohibited activities, and continuing education requirements for paralegals. It also provides at (e) that “A paralegal does not include a non-lawyer who provides legal services directly to members of the public, or a legal document assistant or unlawful detainer assistant as defined in Section 6400, unless the person is a person described in subdivision (a)” which does not prohibit independently providing legal services but prohibits persons doing so from calling themselves paralegals. Two professional associations that are specifically in California that new paralegals should consider are the California Alliance of Paralegal Associations (CAPA) and the California Lawyers’ Assistants, Secretaries & Students (CLASS). Professional associations in major cities of California include, but are not limited to, the Los Angeles Paralegal Association (LAPA), the San Francisco Paralegal Association (SFPA), and the San Diego Paralegal Association (SDPA). Joining an association increases a paralegal’s credentials and chances to get hired by a law firm in California. Minimum length of time to complete program is five quarters or one year and 10 weeks, and internships are mandatory. Offers an ABA-approved Paralegal Studies Certificate Program, and California state Bar-approved MCLE courses at three campus locations: Hayward, Concord and Oakland. The program qualifies students that complete the course for entry-level positions in the field, in law offices, corporations, government agencies or other organizations. Minimum length of time to complete program is 9 months (entry in Fall or Spring) or 1 yr (any quarter entry), and internships are elective. The program operates on a quarter system, and offers three certificate tracks: Litigation, Corporate, and General. The program assists students who need to attend classes in the evening, with placement assistance. Entry is available every quarter, and student information meetings are held quarterly. The school is located in a new facility on the university campus, five miles from downtown L.A. The program has been ABA-approved since 1978. Minimum length of time to complete program is, for AA, approximately 2 yrs and for the certificate, approximately 1-2 semesters. Internships are elective. Cerritos Community College is located in Los Angeles County, 20 minutes from both downtown Los Angeles and downtown Orange County. The college has an internship program with 35+ locations, including private law offices, community legal aid office, local courthouses, State Attorney General’s Office, District Attorney’s Offices, and the Public Defender’s Office. Students completing an AA degree or higher when they entering the program can earn a Paralegal Certificate by taking 21 units of further courses. Minimum length of time to complete program is 2 years and internships are elective. Minimum length of time to complete program is 2 years for the AS degree, and internships are elective. The Paralegal Studies Program aims to prepare students for employment in a paraprofessional capacity working under the supervision of an attorney. It is not intended to prepare students for the practice of law. In addition to an Associate of Science degree, the program also offers certificates to students who possess an Associate Degree or higher. Minimum length of time to complete program is 4 semesters, and internships are mandatory. Description: The Paralegal Program at Los Angeles City College (L.A.C.C.) is ABA approved. L.A.C.C. is regionally accredited by the Western Association of Schools and Colleges. L.A.C.C. is conveniently located within minutes of downtown Los Angeles and the Wilshire corridor. L.A.C.C. is easily accessed via subway and bus. The Paralegal Program offers classes during the day, evenings and on weekends. Paralegal students receive valuable experience through the Paralegal Program’s internship class. Minimum length of time to complete program is 2 years, and internships are elective. The program stresses practical application and the development of job skills as well as legal theory. The program is designed to enhance the ability of students to reason, understand, and apply correct principles of law by teaching analytical and critical thinking skills as opposed to rote learning. Graduates of the program will qualify for entry-level employment and will possess skills for advancement and specialization in the paralegal profession. The Program prepares students to assist attorneys as paralegals in administrative agencies, corporations, insurance companies, private law firms, government and other legal environments. Emphasis is on training students in both civil and criminal matters. Some of the services that the paralegal provides under the supervision of an attorney are legal research, development of law office systems, client interviews, drafts, pleadings, briefing cases, legal calendaring, preparing discovery for litigated cases, preparing drafts of wills and trusts, maintaining corporate records and minutes. Instructors in this ABA approved program, are attorneys or paralegals with practical knowledge in the field of law. The program is WASC and ABA approved and offers both daytime and evening classes for both full time and part time students. Student services include individual career counseling and placement assistance, financial assistance, and academic counseling. Classes are designed for working adults and concentrate on developing and enhancing writing skills, computer skills, and practical application of paralegal skills to the legal marketplace. The faculty includes attorney, paralegals who are SFSU graduates, and a judge. Students are required to complete 10 courses and may choose from several areas of specialization including: Advanced Litigation, Business, Corporate, Transactional, Probate & Estate Planning, Family Law and Administrative Law. There are 29 courses in the curriculum, and many Saturday Continuing Education classes to help paralegals meet the requirements of California Business & Professions Code. The Paralegal Training Program (PTP) is approved by the American Bar Association and aims to prepare students to function as ethical, effective, and efficient professional paralegals in law firms, businesses, government, and nonprofit organizations; to perform a wide variety of legal work under the supervision of attorneys; and to adapt easily to the changing role of the paralegal as well as the changing needs of the legal community. The PTP provides training in substantive and procedural law, legal analysis, professional responsibility, legal forms, legal technology, and practical skills needed to work in the public or private sector as a competent and professional paralegal. This program fulfills educational requirements to practice as a paralegal in California. Instructors for the program are approved by the UCLA School of Law, and include practicing judges, attorneys, paralegals, and other legal professionals. Assistance in career counseling and job search opportunities are available to current students and program graduates. Approved by the American Bar Association, this program consists of an intensive curriculum combining legal theory with the practical skills required of paralegals and provides a quality, rigorous and challenging paralegal education to qualified individuals. Instructors are experienced judges and attorneys, and have experience in working with paralegals. The program meets the requirements of the California Business & Professions, and is of interest to those who want to enter the legal field, make a career change, or who are already working in a business or legal environment and want to enhance their legal knowledge and skills through a formalized course of study. Courses are offered during the evenings to better serve the working professional. The Paralegal Program provides education and training required under California law for students who wish to enter the paralegal profession. Classes focus on developing and enhancing communication, technology, and practical legal skills. Area employers’ needs are monitors to ensure that our graduates have the skills and knowledge they will need. Examples of student services include career counseling, Financial Aid, and Educational Transition (Adult Re-Entry Program). Academic counseling and assistance if provided by the Program Director, Counseling, and Tutorial Services. The faculty includes attorneys, paralegals, and other legal professionals who have hands-on experience in the areas that they teach. Minimum length of time to complete program is 1 year for certificate, and internships are elective. Offers an upper-division Paralegal Certificate embedded into a Bachelor’s Degree in Legal Studies. Operates on the quarter system, cater to the working student by offering all courses in the evening at the Pleasant Hill campus. The faculty is comprised of local, practicing attorneys and our students benefit from an on campus law library. Minimum length of time to complete program is 2 years, however the length can be shortened if student has college degrees or credits. Internships are elective. Centrally located in Sacramento, MTI College offers limited class sizes, and a motivated student body, creating a student-friendly environment. Courses are taught by attorneys and paralegals with expertise in their fields, and student services include placement and a notary class. MTI endorses membership in the Sacramento Valley Paralegal Association, allowing access to networking and mentoring programs. MTI is a WASC accredited college. Located in Southern California, National University is a WASC regionally accredited, ABA approved paralegal education program offering a bachelor’s degree. The program offers three program options to prepare students for the paralegal profession. National University also offers Paralegal Specialist Certificates in various substantive areas, including corporate, criminal, family, litigation, probate and estate planning and real estate. Minimum length of time to complete program is 1.5 years, and Internships are elective. Description: The Bachelor’s Degree in Legal Studies prepares the graduate for paralegal work in law offices, corporate legal departments, government agencies, or for graduate education. The paralegal program began in 1972 and is designed to meet the needs of working adults. Classes meet at night, each class meeting once a week for 15 weeks. Emphasis is on writing skills, substantive law, and practical application. Services include financial aid, career development and placement assistance, and services for disabled students and multicultural students. The University, which is over 112 years old, promotes values and ethics, and appreciation for diversity, lifelong learning and community service.